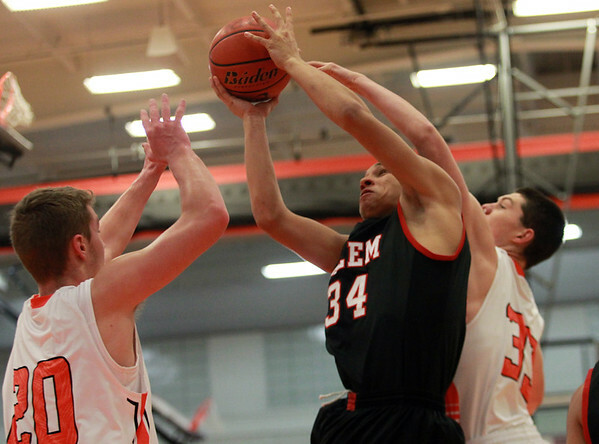 Salem senior forward Argenis Luna (34) grabs an offensive rebound in between Beverly junior captain Sam Traicoff (20) and sophomore Pat Gavin (33). DAVID LE/Staff photo. 12/16/14.